Research libraries across North America are evolving to suit user needs and services, and UBC Library is no exception. As part of its strategic plan and budgetary forecast, UBC Library has announced a number collection and service consolidations at various campus branches and sites. While this process began in May 2012 and will take three years to complete, some changes are underway and take effect this fall. These transformative changes will allow the Library to strengthen its position as a valued partner in research, teaching and learning on campus. 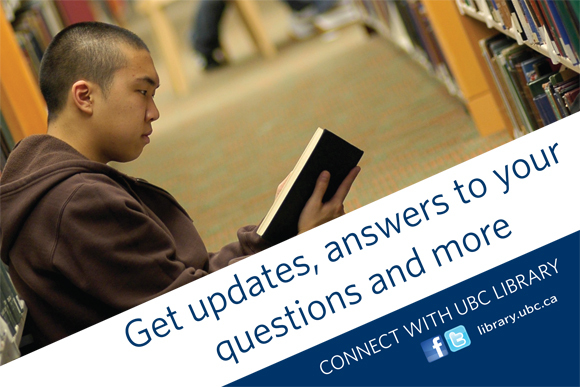 Connect with us – stay updated on the Library’s changes by following us on our social media channels.